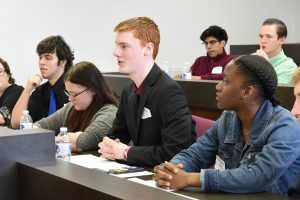 The Senators program gathers high school students from across the 53rd Senate District to meet in the fall to learn about government, propose new legislation, and vote to advance one mock bill. Barickman represents the 53rd District, which includes portions of McLean, Livingston, Woodford counties. 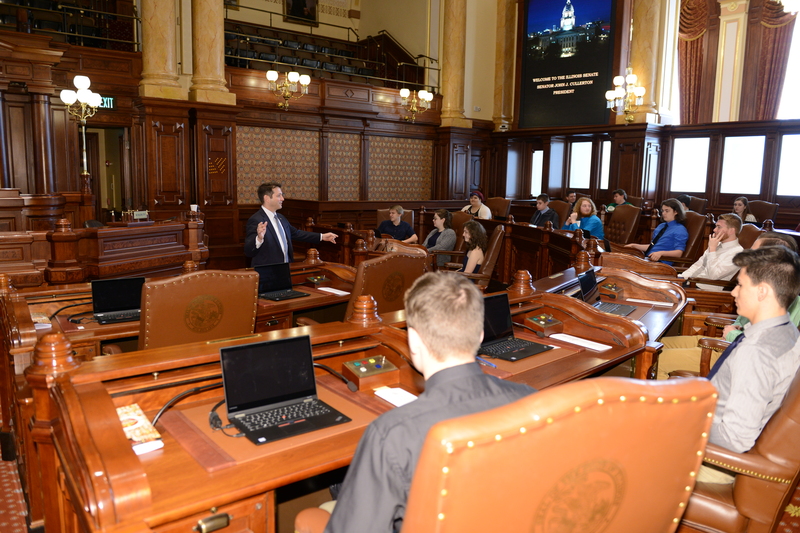 During the spring meeting, the students visited the Senate floor and met with lawmakers, legislative staff, lobbyists, and reporters before holding a mock committee hearing on their legislation. During the mock committee hearing, students filled the roles of lawmakers on the Senate Transportation Committee, lobbyists, concerned citizens, reporters, and even the governor. 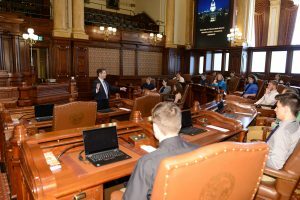 The students’ mock legislation would change the Illinois organ donor system into an automatic opt-in system where all drivers are assumed to be donors unless they opt out. They discussed, debated, lobbied, questioned, and negotiated their bill, ultimately passing it with 11 yes votes, 6 nays, and 2 voting present. Barickman recommends that students who are interested in taking part in his Youth Advisory Program during the 2019-20 school year should contact their school administrators or his district office.